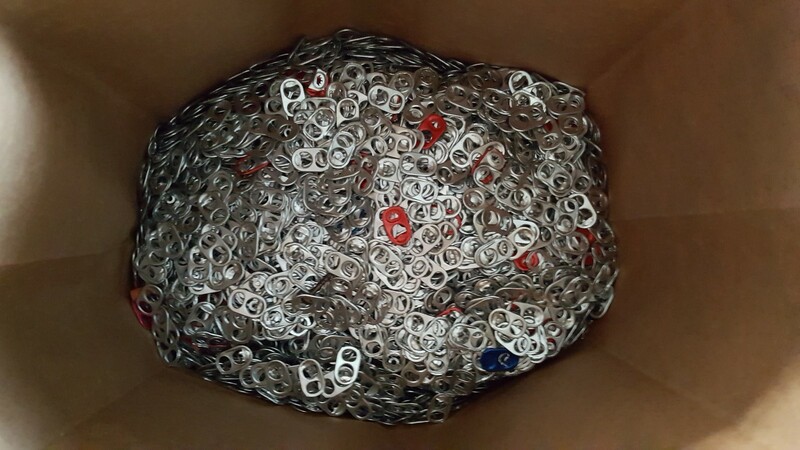 Just wanted to let you know that I will be making a delivery of the aluminum "pull tabs" today. I've attached a couple of pictures of what will be going. FYI: The Purple Aces family will be donating 9.5 POUNDS OR APPROXIMATELY 12,040 pull tabs in the name of little Aubree Ellyn Groessl! 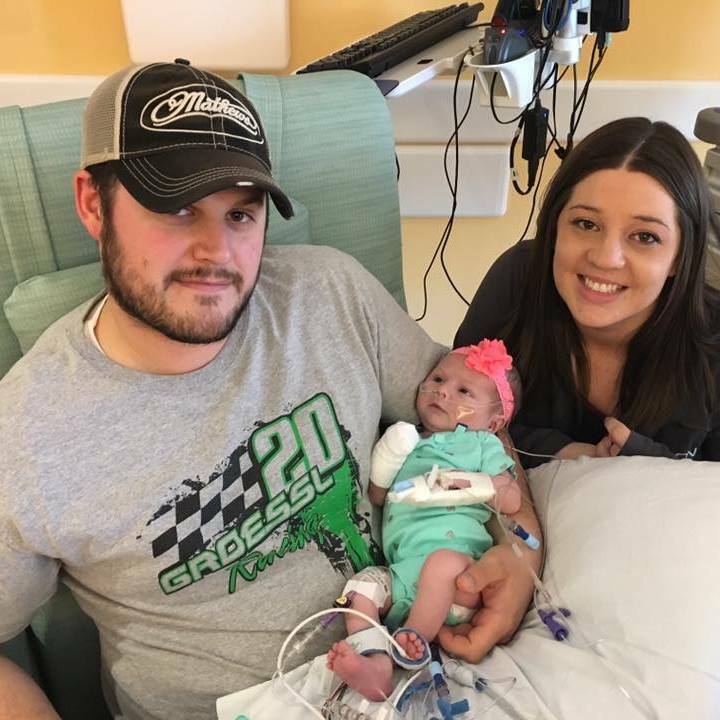 For those who aren't totally aware, Aubree was born with a rare condition know as Hypoplastic Left Heart Syndrome - basically born with 1/2 of a heart. Aubree has already had one heart operation and will face more in the future. 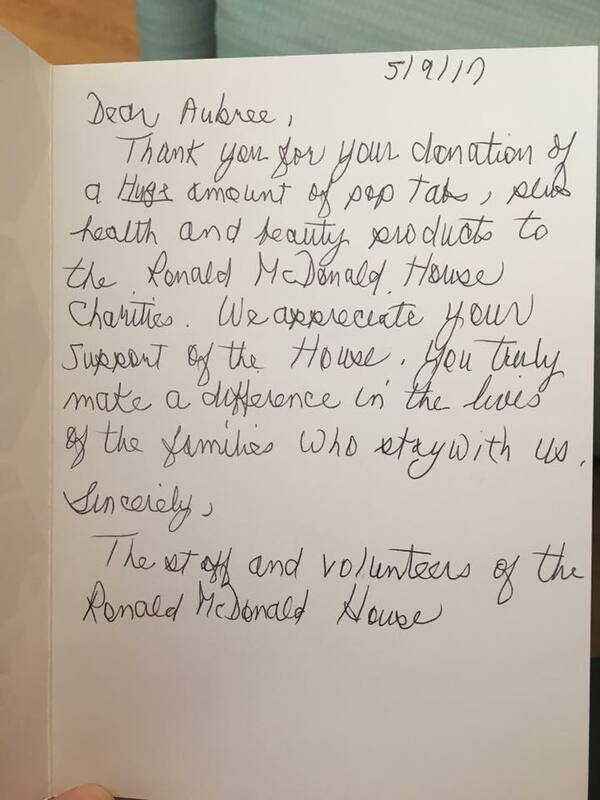 I would like to encourage everyone to continue to collect/save "pull tabs" for the Ronald McDonald House - not only for little Aubree, but for all families in similar situations. Three weeks ago today, our beautiful little girl was born and our rollercoaster ride began. Though we were warned by our doctors prior to Aubree being born that this would be a tough road to travel, we never could have foreseen how true that statement could be. Like a rollercoaster ride, we have seen ups and downs day in and day out, we've experienced plenty of twists and turns with quick changes of plans because Aubree had other ideas in mind and we've sadly had a few sudden... quick drops, the ones that happen so fast it makes your stomach feel like it's in your throat. Through this ride, we've tried our best to remain positive and stay strong for both Aubree and each other, taking turns being each other's shoulder to cry on. There's no denying this has been the toughest and scariest thing we've ever faced, but we're happy to say, these last couple of days have been absolutely amazing. First, we got to hold our baby girl! Words cannot describe what an amazing feeling that was for us! That alone made our entire weekend and we would have been content with that, but then we were given more good news - Aubree was getting her arterial line out and we could start putting onesies on her. In addition, we both got to experience our first diaper changes as well (I never thought I'd be so excited to change a diaper). For many moms and dads, this seems like normal, everyday things that you are able to experience right after your child is born, however for us, after almost three long weeks, for the first time, we were able to interact with our daughter. Though Aubree has a long road ahead of her yet, she's continued to fight and has made some great steps towards her recovery. We know our ride is far from over, but days like the past few have made this ride completely worth it! And live every day as if it were your last"